Actually, I would like to model three of these, simply because they are so historically important, but it will probably have to be either the “Jesus del Gran Poder”, “Nungesser et Coli” or “Point d’Interrogation”. I have found a set of 3-views for “Point d’Interrogation” online. It’s not all that detailed, but it will do. Together with knowledge about the formers, and a huge pile of photos, I should be ready to go. The 3-view was quite poor – the dimensions on the 3 views did not really line up. After a couple of hours of cleaning up the 3-view, I have started doing the model. I follow my “normal” way here, i.e. draw flat top and side views and then “glue” them together in Alibre. 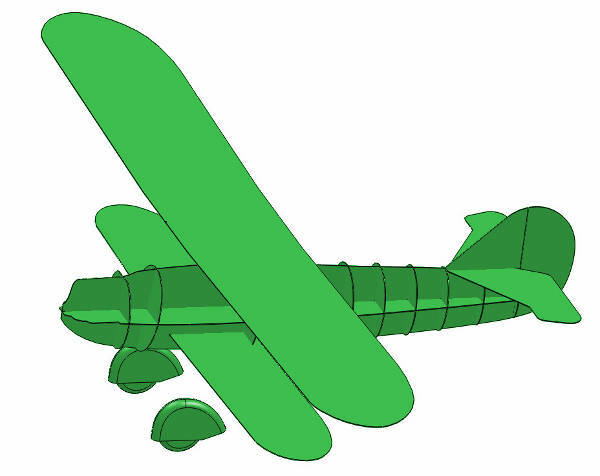 I then started drawing the fuselage formers. This went remarkably fast. This aircraft was a long-distance flyer, and had extremely long wings. I have started drawing the aircraft at 1:5, which gives a decent size fuselage (1.92 m), but a wing-span of 3.66 m, which is ridiculously huge. I have decided to go with a scale of 1:10. All the work done will have to be scaled before I can continue. 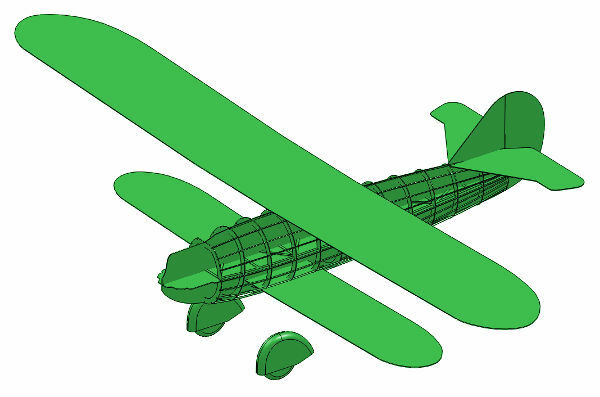 The fuselage is now done, complete with crutch and longerons. 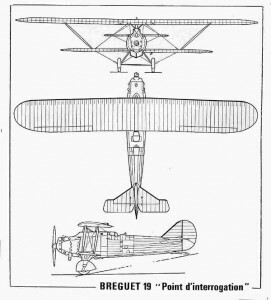 Breguet XIX Super Bidon – Bummer! Unfortunately this aircraft has a canvas covered fuselage and I forgot to count the number of longerons. So, I got to do it all over again. 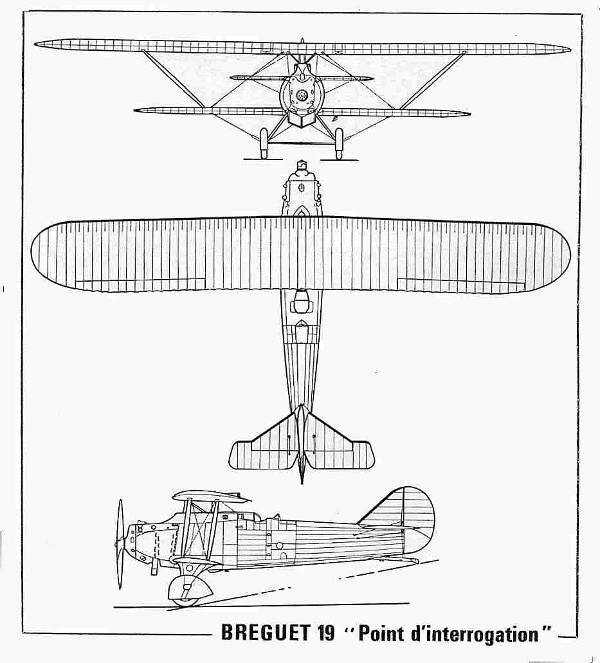 Breguet XIX Super Bidon – Fixed! Finally the correct number of longerons – 21.